Progressive Survival modes greatly complicate your survival in the game. Now when you start the game, you first need to get the leaves from the branches and combining them with silicon you get the ax. 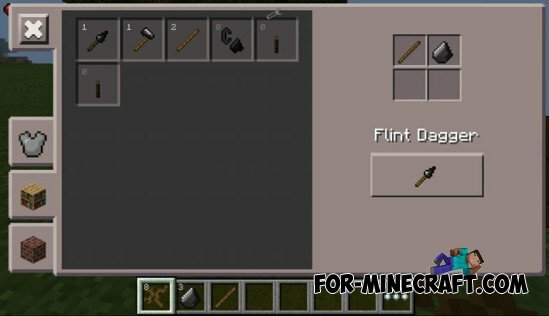 Something this mod reminds TerraFirmaCraft, the principles are the same - to complicate your survival in the game.